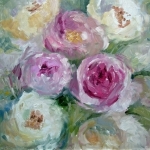 Welcome to our artists' gallery, to view an artist's work click on their name or the image. If you see a picture in the Gallery which interests you, just send an email to the Artist using the email contact button located next to each picture. The Artist will contact you directly regarding delivery and payment method and answer any questions you may have.